1.Participation and decision making practices are effective and inclusive. The demand for open governance has increased. 2.The discussion of the environment that supports active citizenship and the possibilities for its development is effectively managed by NGOs. 3.The civil space is meaningful and freedom of expression, association and assembly has been maintained in Estonia. 4.Civic education programs for schools enable young people to gain experience of participation, and thus the youth’s awareness about civil society has improved. 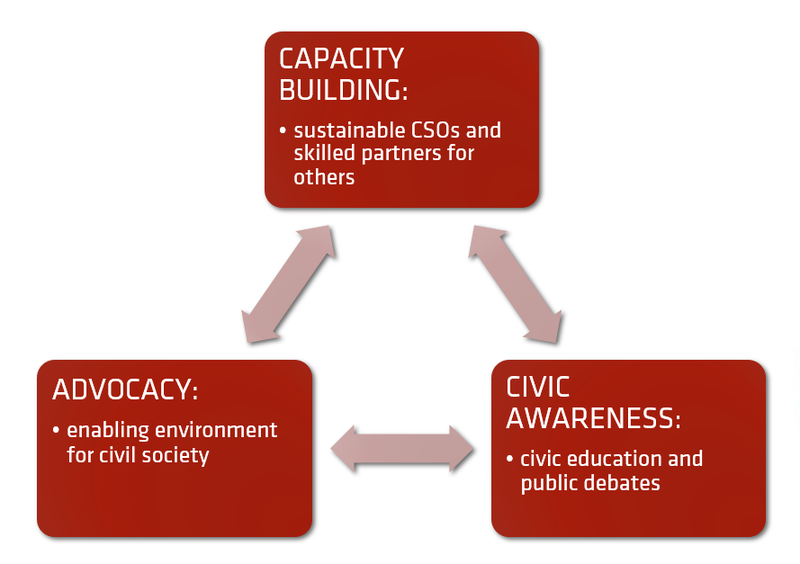 5.Civil society organizations are well-managed institutions and employing thoughtful, innovative practices, and even more e-solutions. 6.More people from Estonia understand the functioning and participate in civil society. 7.Effective cooperation networks with visible and perceptible impact establish the Estonian civil society.